PHILADELPHIA (March 3, 2017) – Since its founding in 2003, Wounded Warrior Project® (WWP) has prided itself on providing free life-changing programs and services to injured veterans, their caregivers, and family members. This is possible because of generous donors from all walks of life. 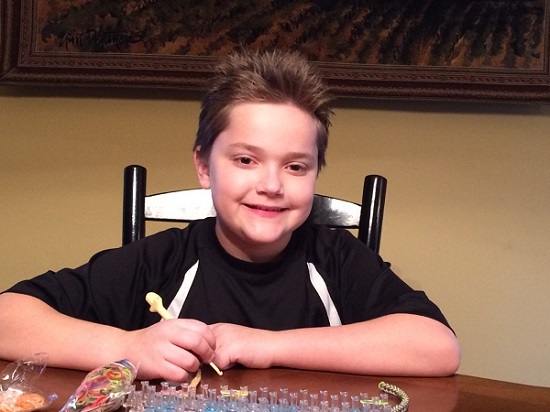 One such donor is 11-year-old Nicholas Trycieckyj, who recently sent a letter and donation to WWP. Nicholas raised the money to support WWP entirely on his own. At a recent family birthday party, Nicholas crafted some bracelets that he then sold to relatives and friends. He mailed the money to WWP along with a handwritten letter. WWP programs and services assist injured veterans with physical health and wellness, career and benefits counseling, connecting with other warriors and their communities, and mental health. To address the growing needs of warriors who are returning from war with invisible wounds, WWP offers veterans a range of specialized mental health programs and services – all tailored to each veteran’s specific needs and free of charge. WWP and its supporters believe warriors already paid their dues on the battlefield, so warriors don’t pay for any service they receive. To learn more about how WWP’s programs and services are making an impact on the lives of wounded warriors, visit http://newsroom.woundedwarriorproject.org/. To find photos showing Nicholas’ efforts, click on multimedia, then images.